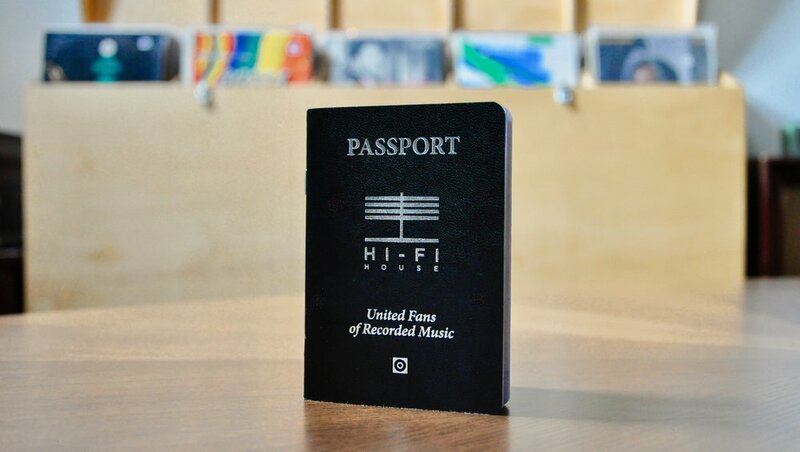 THE HI-FI HOUSE GOOD LISTENER PASSPORT IS A NEW AND UNIQUE COMPANION TO LISTENING. MADE FOR STUDENTS OF MUSIC OF ALL AGES. BEGIN WITH THE 12 WEEK PASSPORT TO JAZZ PROGRAM TO DISCOVER THE MUSIC OF MILES DAVIS, SARAH VAUGHAN, CHARLIE PARKER, DIZZY GILLESPIE, AND MORE. FEATURES ENGAGING, GUIDED LISTENING EVENTS. EACH WEEK, EARN A STAMP FOR A DEFINITIVE ALBUM BY A FEATURED ARTIST, SUCH AS MILES DAVIS' KIND OF BLUE. LISTEN TO ADDITIONAL ALBUMS FROM THAT ARTISTS' CATALOG AT HOME WITH FRIENDS AND FAMILY TO EARN AN ARTIST STAMP. OVER 12 WEEKS, LISTENERS EXPLORE THE CATALOGS OF CLASSIC AND CONTEMPORARY JAZZ ARTISTS, ULTIMATELY EARNING OUR CAPSTONE 'JAZZ' GENRE STAMP. EACH PASSPORT IS INDIVIDUALLY NUMBERED AND HAND SIGNED. YOUR UNIQUE PASSPORT NUMBER UNLOCKS CONTESTS AND PRIZES ALONG THE WAY, INCLUDING CONCERT TICKETS, RECORDS, AND MERCH. HI-FI HOUSE SIGNATURE GENERIC STAMPS. WITH A HI-FI HOUSE MEMBERSHIP, PASSPORT HOLDERS ARE FREE TO EXPLORE OUR LIBRARY OF OVER 10,000 ALBUMS. MEMBERSHIPS START AT $15 PER MONTH. WHERE WILL THE MUSIC TAKE YOU NEXT?